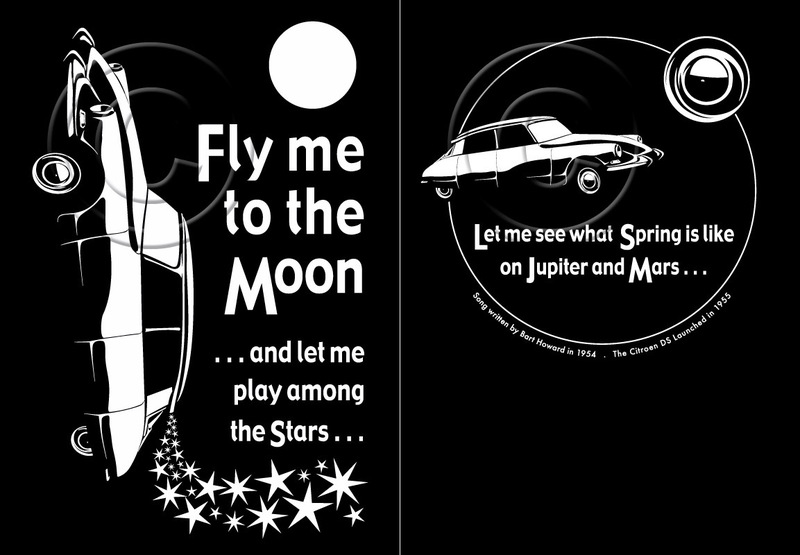 There are still many people walking round in "Fly Me to the Moon" (screen-printed) DS T-Shirts which we originally produced back in 2005 for the Citroën DS 50th Anniversary celebrations in Paris. We had one left which soon sold, and were asked "When will they be available again?" 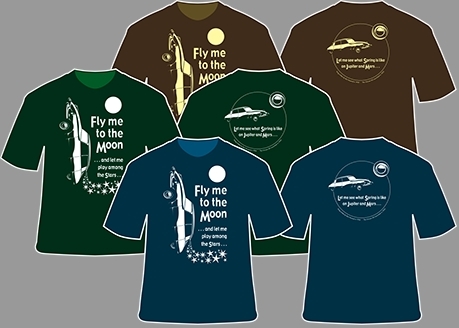 This design is suitable for vinyl-printing method now used - so we can offer it in (almost) any colours you like*. *Can be printed in any light colour on any dark coloured T-Shirt (this design won't work with a dark image on a light background). Print on these T-Shirts is single colour front and back. Sweatshirt price - £26.00 + Postage. We have previously printed ZIP Hoodies with just the larger image on the back. E-mail your ideas about other garments, and we'll send you pictures and prices.